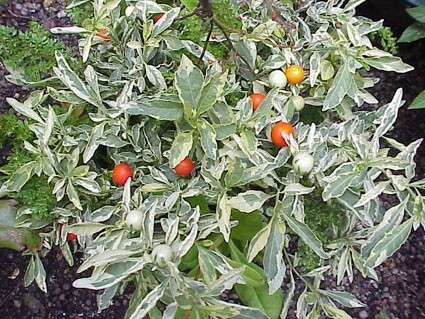 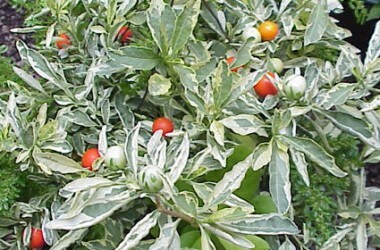 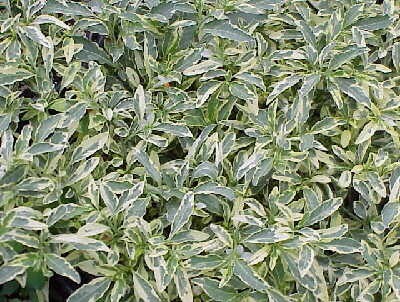 "Variegated Jerusalem Cherry" Famous Christmas shrub with bright orange tomato berries which start as green striped white marbles strikingly posed above the thick white-margined, soft leaves--difficult to achieve, but what a knockout. 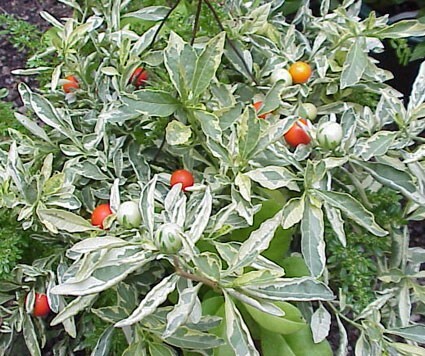 Remember that this is not a good plant around children, as the temptingly attractive fruit is not edible, and considered slightly toxic in the Little Golden Book of Old Wife's Plant Tales. 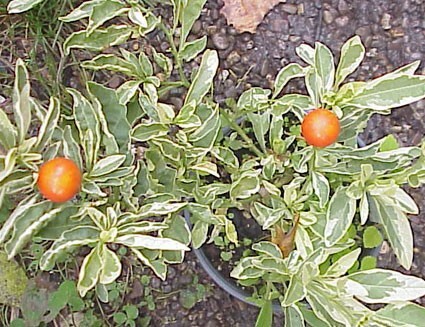 This must have full sun at all stages of growth to perform well; not recommended as a houseplant.